A short evangelistic tract for adults which explains the identity and mission of Jesus through the meaning of His names Immanuel, Jesus and Christ. It is based on the angel's message at the birth of Jesus in Matthew 1v18-23. There is a direct call to respond to the message in repentance and faith, and a prayer of commitment is included. Suitable for a wide variety of evangelistic uses, and for use at carol services. This tract is part of our Access for All range, where care has been taken to write in clear, simple English, so it is accessible to the widest range of adults and those with English as an additional language. 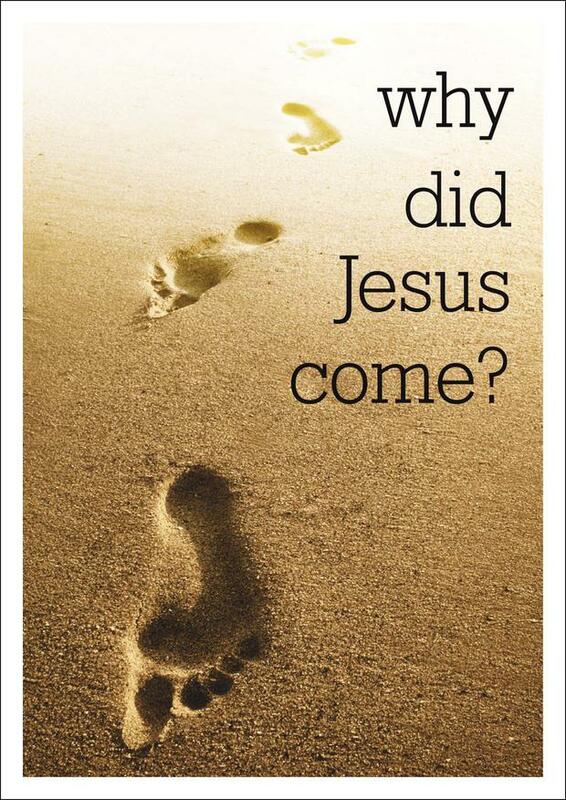 Why Did Jesus Come? by Tim Thornborough was published by The Good Book Company in July 2016 and is our 3739th best seller. The ISBN for Why Did Jesus Come? is 9781905564606. Reviews of Why Did Jesus Come? Be the first to review Why Did Jesus Come?! Got a question? No problem! Just click here to ask us about Why Did Jesus Come?. Details for Why Did Jesus Come?